La destreza de Alissa es increíble. Desde la concepción de los quilts, pasando por la estructura de los bloques hasta la combinación de tonalidades. 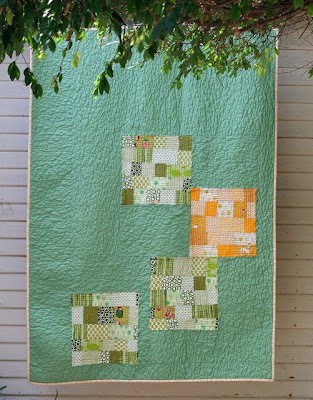 Su blog, Handmade by Alissa, es esencial para los amantes del patchwork moderno. Alissa's skill is incredible. 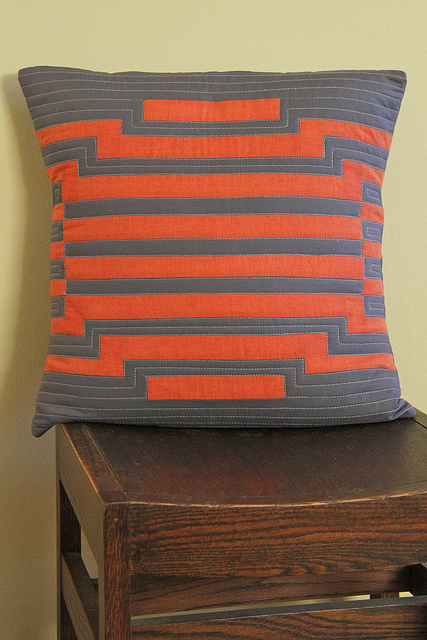 From the conception of the quilts, through the structure of the blocks up to the combination of tonalities. Her blog, Handmade by Alissa, is essential for modern patchwork lovers. Alissa Haight Carlton vive en Los Angeles y es una de las fundadoras de The Modern Quilt Guild, una asociación que tiene como fin expandir el patchwork moderno en el arte, la educación y la sociedad. Se creó en 2009 cuando un grupo de quilters que se conocían a través de Internet decidió encontrarse en persona. Alissa Haight Carlton lives in Los Angeles and is one of the founders of The Modern Quilt Guild, an association whose purpose is to expand modern patchwork in art, education and community. 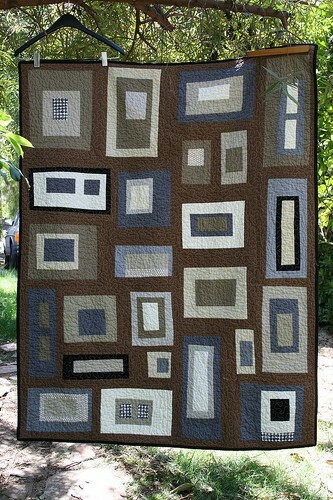 It was created in 2009 when a group of quilters who had only met online decided to meet in person. En la página web de The Modern Quilt Guild Alissa explica sus inicios y cómo llegó hasta el patchwork moderno. Empezó tejiendo y su interés por las labores le llevó a visitar páginas web, blogs,... hasta que descubrió los quilts. El ser autodidacta y no seguir ninguna regla establecida desembocó en el patchwork moderno. 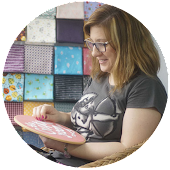 On TheModern Quilt Guild’s website Alissa explains her beginnings and how she came up to modern patchwork. She started by knitting and her interest for crafts led her to visit websites, blogs... until she discovered the quilts. Being self-taught and not following any established rule ended in modern patchwork. Alissa describe sus quilts como modernos porque no utiliza patrones, emplea mucho el color blanco, colores contemporáneos y sólidos y nunca estampados geométricos, y sus diseños carecen de bordes. Aunque lo más importante para ella es la improvisación, diseñar mientras cose. Por eso entiende que el patchwork moderno es sinónimo de tolerancia. Alissa describes her quilts as modern because she doesn’t need any pattern, uses white color, contemporary and solid colors and geometric prints mainly, and her designs have no borders. 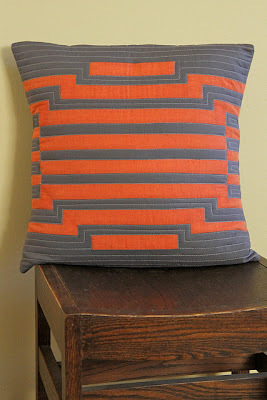 Though the most important thing for her is improvisation, designing while sewing. That’s why she understands that modern patchwork is synonymous with tolerance. Podéis leer lo que The Modern Quilt Guild define como patchwork moderno aquí. No rechazan el patchwork tradicional, al contrario, lo consideran el punto de partida, de manera que su trabajo es una reinterpretación del mismo. 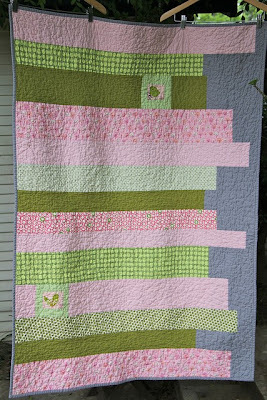 You can read how The Modern Quilt Guild defines modern patchwork here. They don’t reject traditional patchwork, on the contrary, they consider it to be the point of departure- So their work is a reintepretation of it. 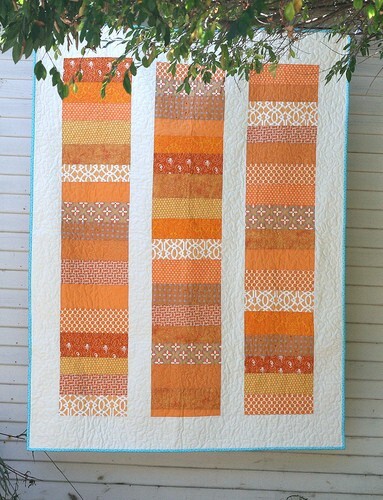 Alissa ha escrito dos interesantes libros: Block Party - The modern quilting bee y Modern Minimal. Además, su blog es una delicia y sus tutoriales verdaderas lecciones de patchwork. 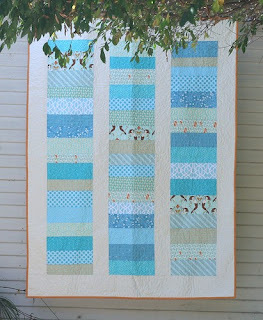 Alissa has written two interesting books: Block Party - The modern quilting bee and Modern Minimal. Besides, her blog is a delight and her tutorials are real patchwork lessons.